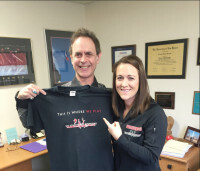 Elizabeth Albertson is a co-owner and co-founder of The Athlete's Playground. She was born and raised in a small town in Oregon where she had always been involved in sports and fitness. Since she was young, Elizabeth knew that her passion for fitness and her drive to help others would lead her to where she needed to be. Elizabeth attended the University of New Mexico for a Masters in Exercise Science and Sports Administration. 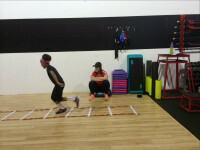 She is a certified strength and conditioning specialist through the National Strength and Conditioning Association (NSCA). 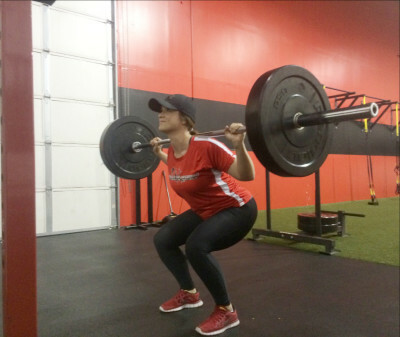 It is Elizabeth's mission to provide a link between proper education and knowledge of strength and conditioning. Not only to establish what to do, but why we do it. Elizabeth believes in training the overall athlete, from strength and conditoning to injury-prevention, not just focusing on one goal. 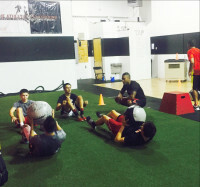 Brandon Learson is co-owner and co-founder of The Athlete's Playground. He was born and raised here in Albuquerque, New Mexico and attended the University of Nevada Reno for a BA in Business. He has always had a strong passion for fitness and the vision of starting and running his own business. Brandon is a nationally certified strength and conditioning coach from the National Strength and Conditioning Association (NSCA) and a certified sports performance coach. It is Brandon's mission to develop tomorrow's future superstars. 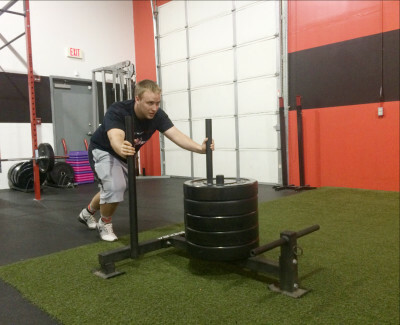 With heavy focus on proper form, technique, posture, and position, he believes he will develop a solid foundation for strength training and speed development. Brandon is always looking for new and innovative ways to strengthen and challenge the body by doing research and developing new workouts, concepts, and programs. Brandon thrives off of getting everyone excited, passionate, and motivated about fitness and exercise. 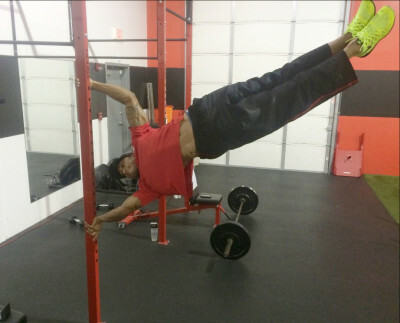 He believes in workouts that are effective, efficient, fun, and always challenging. John is an Albuquerque, New Mexico native. He has been involved in many sports throughout his life. He started skiing at the age of two and made the switch to snowboarding at seven years old. He played a year of varsity basketball and three years of varsity football at Volcano Vista High School. He has been involved with coaching two youth basketball teams and the football c-team at Volcano Vista. He is currently an undergraduate student at the University of New Mexico. He is pursuing a degree in Exercise Science. With that, he plans to become a Certified Strength and Conditioning Specialist and continue on to receive his doctorate in Physical Therapy. 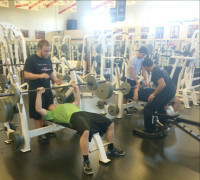 He is a nationally certified personal trainer by the National Strength and Conditioning Association (NSCA). As a previous co-captain for several years at the varsity level, he is a natural leader and very vocal. He hopes to share his enthusiasm and tenacity with those around him.